Author Cassandra Dunn’s Road to Success! ***Update! I recently learned that Cassandra Dunn’s Novel will be released this summer! Congratulations to her, and I wish her much success! 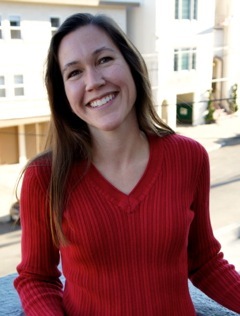 Cassandra Dunn received her MFA in creative writing from Mills College. She was a semifinalist for the Amazon Breakthrough Novel Award, and a finalist in Glimmer Train’s Short Story Award for New Writers. Her stories have appeared in All Things Girl, Midwest Literary Magazine’s Bearing North, Read Short Fiction, Literary House Review, The MacGuffin, 322 Review, Fix it Broken, Clapboard House, Every Writer’s Resource, Rougarou Fiction, and Sand Canyon Review. S. M. Nystoriak: Tell us a bit about yourself. What led you to become a writer? Was it a lifelong dream or something that struck you later on? Cassandra Dunn: I’d call it a lifelong dream. When I was nine we had a class assignment to write a paragraph about something fictional. I ended up writing a four-page ghost story, and I was hooked. I was a shy child, but I felt comfortable expressing myself in writing. I had some encouraging teachers who pushed me to keep pursuing writing. I earned my bachelor’s and master’s degrees in creative writing, I write on a daily basis, and I’ve worked as an editor for 18 years, doing everything from technical editing to helping authors revise their novels and memoirs. Aside from my daughters, writing is the most fulfilling part of my life. S. M. Nystoriak: As a child, would you consider yourself to have been an avid reader? I am curious what stories may have influenced your writing today. Cassandra Dunn: Yes, I think I was an avid reader as a child. I could sit all day reading. I particularly loved animal stories: Charlotte’s Web, Stuart Little, Black Beauty. But I also remember taking early readers and revising them. I can clearly recall being about seven years old and copying the text from a book on pandas onto another piece of paper, rearranging the content into a sequence that made more sense to me. I think maybe I was born an editor as much as a writer. S. M. Nystoriak: How about now, as an adult. What might we find on your bookshelf or e-reader? Cassandra Dunn: I’m still an avid reader, and I have fairly varied tastes. I’m usually reading more than one book at a time. Right now I’m reading Ellen Sussman’s On a Night Like This. I just finished Gone Girl and Moloka’i. I have too many favorite authors to list, but a few that come to mind are Marisa de los Santos, Michael Chabon, Heidi Durrow, and Richard Russo. I love a good story about complex, compelling characters. S. M. Nystoriak: I have personally done a lot of research in the field of music, music education, and music history. I have found that even though I actually enjoy writing very technical pieces incorporating that research, writing fiction is quite different. Were you always a writer of fiction, or have you delved into other types of writing as well? If so, how did you find the transition? Cassandra Dunn: When I was earning my MFA in creative writing, my concentration was creative nonfiction, so my master’s thesis was a memoir. Then I realized that before I could publish it I’d need permission from a couple of people I’d included in the book who weren’t likely to give it. So I switched to writing fiction. I worked on short stories until I felt like I had the hang of it, and one of my first efforts was a finalist for a Glimmer Train story contest. Over the past couple of years I’ve gotten 11 stories published while I’ve been working on various ideas for novels. I feel like writing short stories is a great exercise for novel writing–a reminder to keep scenes tight and meaningful, to not overwrite, to not include anything that isn’t essential to the story. I still write the occasional short story, I’m just a fan of the form, but I’m mostly focusing my efforts on novels now. S. M. Nystoriak: I read that your novel has a very personal connection to your own life. Would you mind telling us a bit about it? Cassandra Dunn: I had an uncle with Asperger’s Syndrome, and I always knew I’d write about it someday. I liked the idea of writing about a character with Asperger’s, not just from his point of view but from that of the people closest to him. There are so many stereotypes about Asperger’s and autism, and I want to get beyond those. There’s so much talk about mainstreaming and medicating and “normalizing” people with Asperger’s, and it’s important to remember that they are amazing individuals as they are, and that there isn’t anything “wrong” with them. I certainly believe in giving every individual the best tools to succeed in life, but I also believe that the real challenge is in our ability to accept them and celebrate them for who they are. My uncle is no longer with us, but he meant a lot to me. My character isn’t exactly like my uncle, but he certainly shares some characteristics, and it’s been a great experience to honor my uncle’s memory in this way. S. M. Nystoriak: Did you spend a lot of time researching Asperger’s Syndrome for this novel? Cassandra Dunn: It helped to grow up around Asperger’s Syndrome, but as I developed my character I found it hard to separate the typical Asperger’s characteristics from the qualities that were specific to my uncle, so I did end up doing a ton of research as well. I wanted Matt to embody a typical adult (he’s in his mid-forties in the book) living with the various challenges of Asperger’s, but also to have his own unique personality, interests, and methods of dealing with those challenges. I came across some amazing Asperger’s communities with the most open and honest adults living with Asperger’s—I wish there’d been something like that for my uncle to participate in when he’d been alive, I think it would’ve made a big difference in his life. S. M. Nystoriak: Can you give us a bit of a plot synopsis for your book? I heard something about multiple points of view! Cassandra Dunn: The book alternates point of view between four characters: Lana, who is recently separated, her brother Matt who has Asperger’s Syndrome, Lana’s fourteen-year-old daughter Abby who is battling anorexia and her first crush, and Lana’s sixteen-year-old son Byron who is a promising athlete thinking of leaving it all behind to pursue art, and who is in love with his best friend’s sister. The character of Matt comes into this fractured family because Lana needs help with her mortgage and after Matt suffers an accidental overdose, Lana, the ultimate caretaker, decides to take him on as her latest project. Byron and Abby tolerate their quirky uncle, but they aren’t close to him. As the story progresses, and Lana, Byron, and Abby face their own challenges and drama, they each come to realize that Matt is actually the rock of the family. He’s impervious to drama, unaffected by the challenges they face. He is who he is, every second of every day: a brilliant, quirky, observant, rigidly consistent soul. He is the one person who never judges them and never lies to them. He’s a living example of the self-acceptance they are each ultimately searching for. S. M. Nystoriak: Any idea yet about when it might be released? Cassandra Dunn: I’m still in the revision stage right now, working with my amazing agent Harvey Klinger. I’ll definitely let you know as soon as we have a release date! S. M. Nystoriak: Okay, now to the exciting part of this interview, at least as far as I am concerned! Tell us about your road to representation. How long did it take? Did you have a process for querying? What was it like to get the call? In your own words, walk us through how it all happened! Cassandra Dunn: My first novel attempt became a semifinalist for the Amazon Breakthrough Novel Award, so I knew I was on the right track. I sent that novel out to a slew of agents, and got a decent number of requests for the full manuscript, but none that led to offers of representation. While I was sending that novel out I kept myself from going crazy by starting a new novel. By the time I’d finished that second novel, I knew it was a much better book and that it was the one I should be focusing on. I sent it to a handful of agents, including Harvey Klinger, and he responded right away, asking for the first few chapters, and then the full manuscript. He contacted me to say that he thought my novel had a lot of potential and that he’d be happy to work together on it. Two months later we’re nearing the end of revisions and talking about the next steps for finding a publisher. It’s a very exciting time! S. M. Nystoriak: Cassandra, it is not every day that an agent takes that kind of interest in a new novelist! I think that part of your story is absolutely amazing. Okay. Final question: If you could create an iPod playlist for one of the characters in your novel, which character would it be, and what would you put into the playlist? Cassandra Dunn: I’d say Matt, because he’d have an interesting and eclectic playlist. He likes classical music, so there’d be some of that, but he also likes white noise, street sounds, nature noises. I think he’d have a little of everything that he finds soothing, and it would make sense to no one but him. S. M. Nystoriak: Thank you so much for participating in my author interviews. I wish you great success in your writing career. This entry was posted in Author Interviews, Recently Repped and tagged #amwriting, #authorinterviews, #recentlyrepped. Great article! I found my agent six months ago and am eagerly awaiting publication! Oh! Congrats to you! And thanks for commenting! Thanks for stopping by! And thanks for commenting!